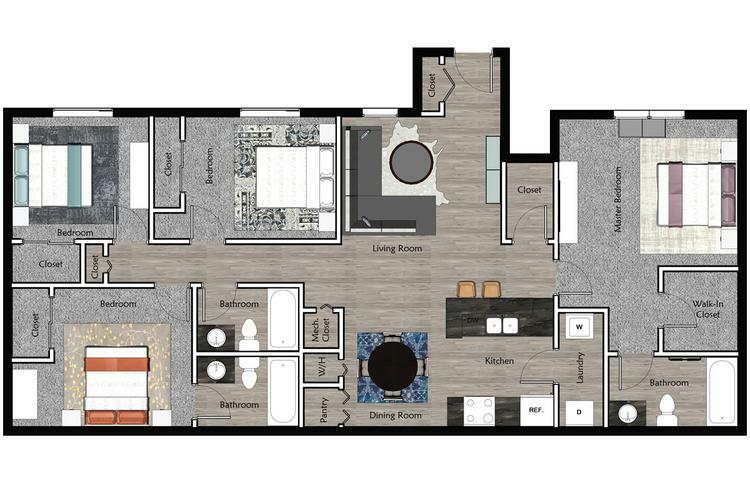 This spacious 4 bedroom floor plan is our largest floor plan with four bedrooms and three bathrooms. It features a full-size washer and dryer, entry closet, and a fully equipped eat-in kitchen! This open floor plan will make your family feel right at home.